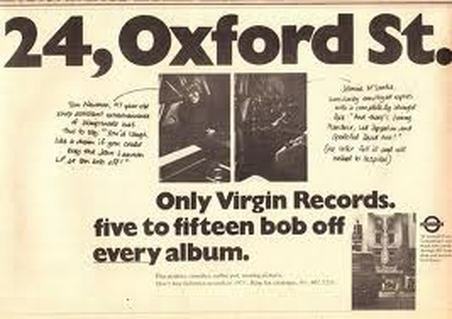 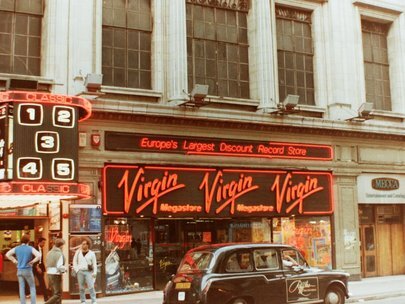 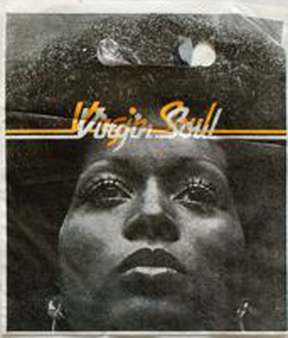 I also have fond memories of the Virgin Megastore on Oxford Street when it first opened in 1979. 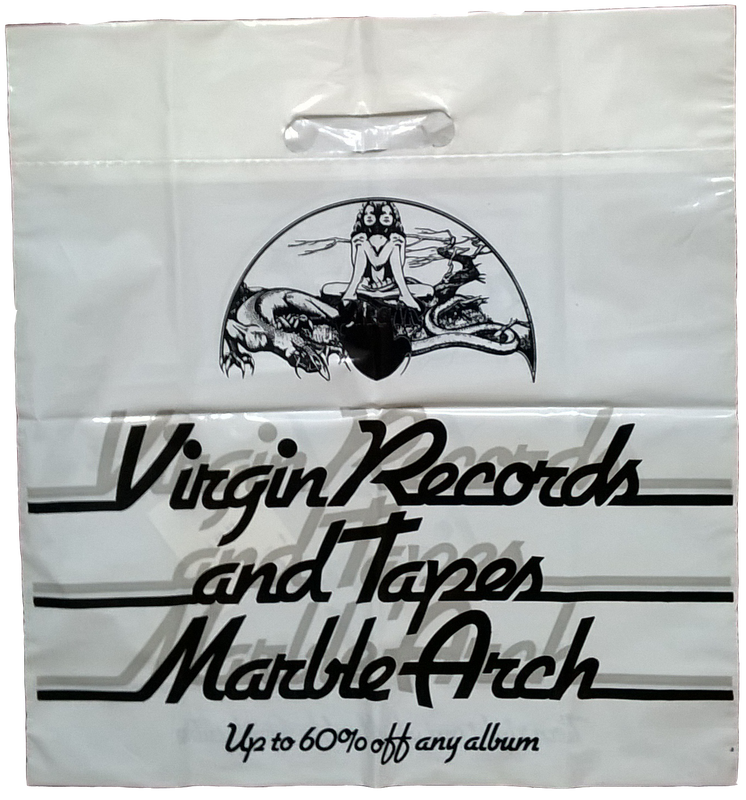 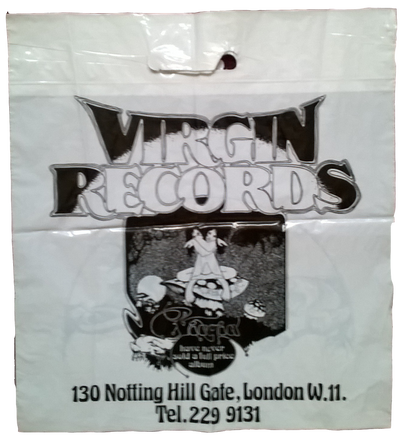 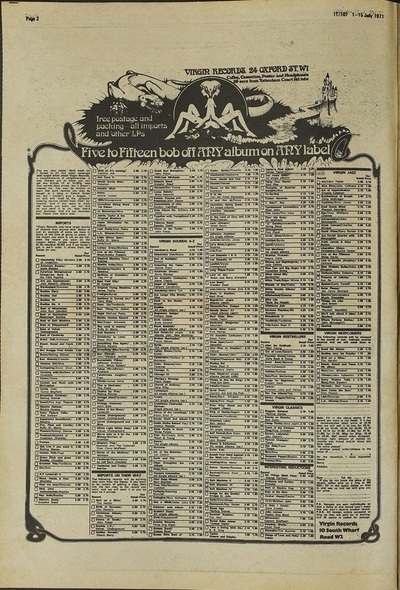 Most UK shops used the 'masterbag' system where you took the empty sleeve to the counter and exchanged it for a record. 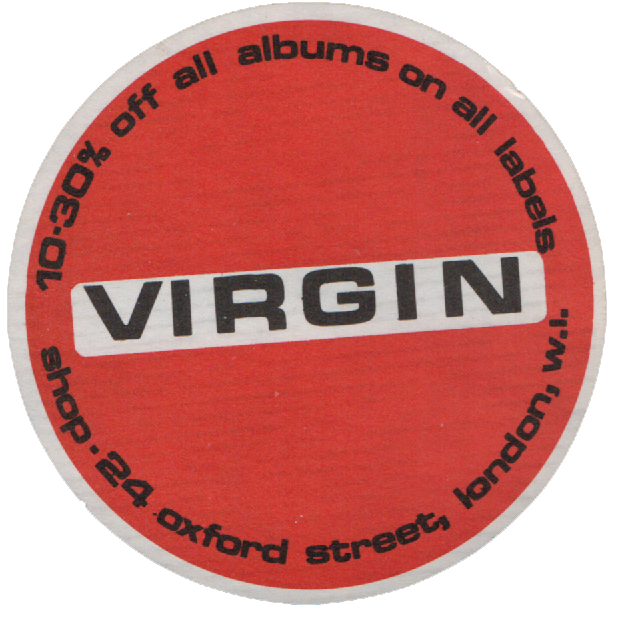 (June 23, 2013) Ray said:As a long-haired teenager, I used to frequent the first Virgin shop at 130 Notting Hill with my friends (this would have been from 1969). 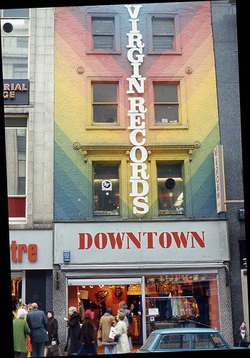 I bought my Amon Duul II and Tangerine Dream LPs here, along with other music not found in the local Smiths. 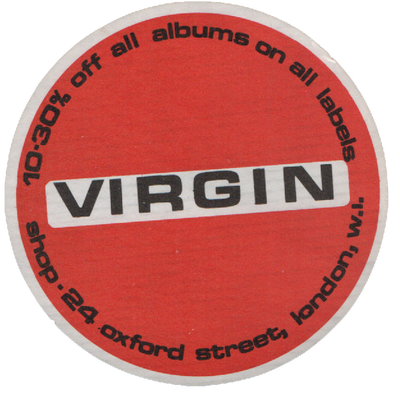 I don't know how Virgin made it so big. 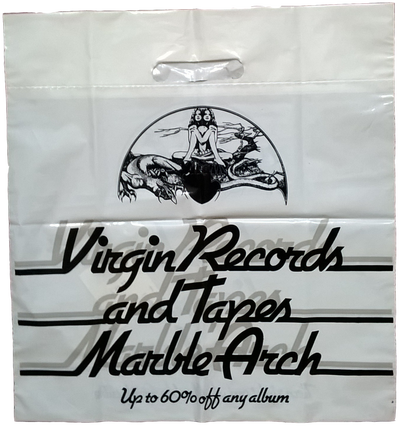 A few customers did occasionally part with money, but most of the 'customers' would just spend hours lying on the cushions, listening to the latest imports through headphones - mostly out of it, on whatever drug of choice. 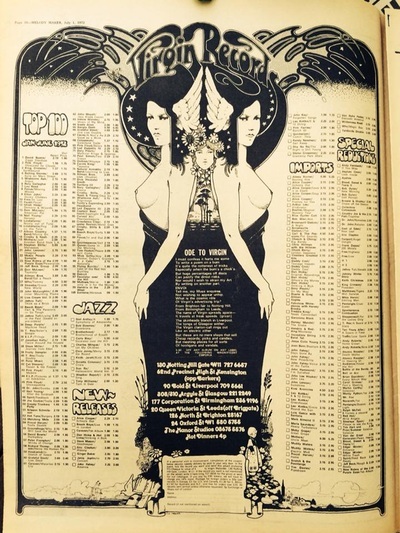 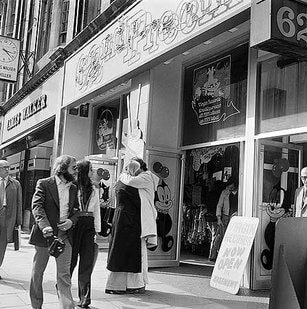 I remember the staff enthusiastically telling everyone about their new shop opening in Oxford Street (this was in 1971; they opened their Oxford Street 'Megastore' in 1979) - but, why go all that way up town when you could have a great time right there in Notting Hill!